Austin-based neon artist Todd Sanders keeps vintage style alive through his glowing art creations. 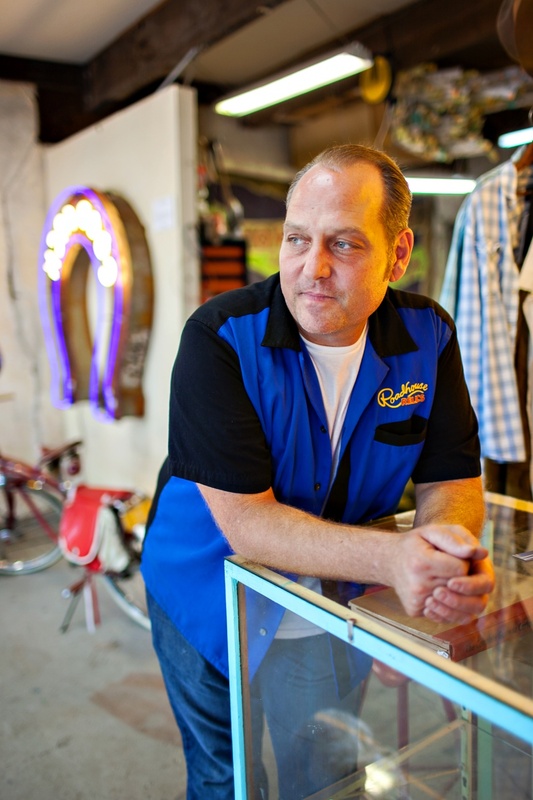 The business specializes in the craft of neon design — vintage signs and pieces that light up in true retro fashion. Neon art reached it climax in the 1950s, when this “liquid fire” covered drive-ins, diners and nightclubs, mostly due to the fact that the bright lighting in neon art made it easy to catch people’s attention. In the 1960s, bright plastic signage replaced the blazing neon signs, which were then considered tacky. In the 70s, artists began to expand the use of neon from advertising to art, which led to its resurge and newfound popularity across the nation. Roadhouse Relics' owner, Todd Sanders, likes to call his work “modern vintage”, defending vintage neon as a true American icon and denying the idea this his creative style is a “dying art.”Unlike most neon artists today, Sanders’ work, from the sketches to the final product, is made from scratch. He begins each project by drawing out a couple of sketches and then having the client decide which one they like best. After deciding on a design, Sanders then hand-draws the paint pattern, metal pattern and the neon and mounting patterns that serve as the “layouts” for the final piece. According to Sanders, the entire process takes around two weeks. 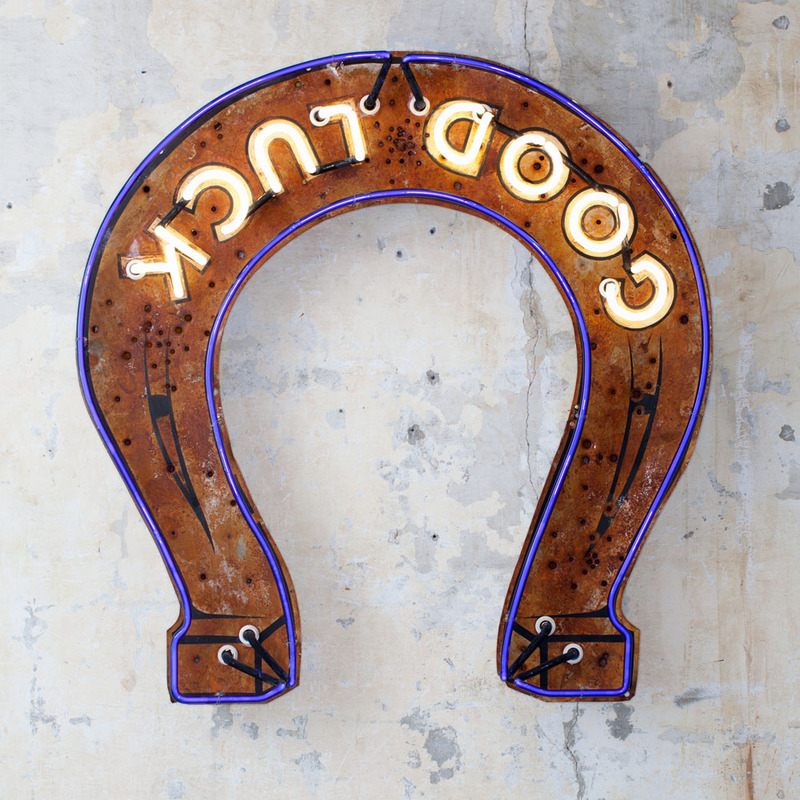 “I started painting signs in college, and I just fell in love with the neon aspect. After moving to Austin in 1992 and working in a neon shop for three years, I worked on my first project, a sign for a cajun restaurant. I realized that this was what I really wanted to do," Sanders says. Since his beginnings in Austin in the early 90s, Sanders’ work has become a staple in the Austin community. Sanders has created several of the city’s art-pop signs, such as The Continental Club, and has created signs for celebrities among the likes of Miranda Lambert, Norah Jones, ZZ Top and Willie Nelson. In 2012, three of his pieces were featured in the Museum of Neon Art in Los Angeles. Appropriately, the left wall of Roadhouse Relics has the infamous “Greetings from Austin, Texas” mural to showcase just how much of an Austin relic his work is. Recently, Sanders had the opportunity to design the neon art piece on the cover Kings Of Leon’s new album, Mechanical Bull. The band gave Sanders the ability to pretty much do whatever he wanted, he says. "I was involved with their art director and photographer for the album, so I did a total of 8 sketches, and they ended up choosing the first one I drew. From start to finish it took a total of about 10 days to complete, but they really enjoyed the finished product," he adds. “I consider neon art to be timeless. I’ve been working in this for the past 20 years, but these past 5 years it’s really been taking off," Sander says. To visit Roadhouse Relics, appointments can be made by contacting info@roadhouserelics.com, or calling 512-442-6366.